Seoul National University – Kim Il-sung University Exchange Committee held a press conference and unveiled the email they had sent to the student committee of Kim Il-sung University. With the warming of relations between the two Koreas, SNU will launch a student exchange with its North Korean counterpart, Kim Il-sung University. 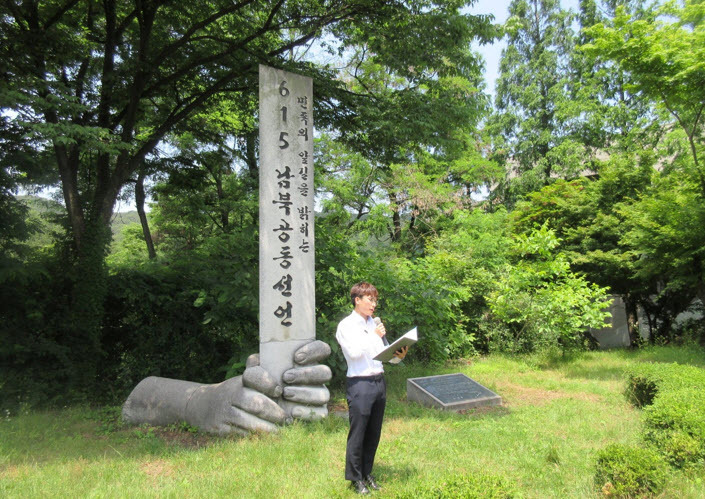 On June 12, the Ministry of Unification approved the request for the exchange between the top universities of the two Koreas, a first in SNU’s 72-year history. Approximately 100 SNU students expressed interest in participating in the upcoming historic meeting. The exchange activities are expected to include a visit to Kim Il-Sung University and a a joint exploration of the historical sites of Pyongyang with North Korean students.